Production lead time for this product is 3 days. This product has a minimum order quantity of 10. Production lead time for this product is 2 days. This product has a minimum order quantity of 10. Production lead time for this product is 3 days. This product has a minimum order quantity of 25. This product must be ordered in quantity increments of 25. 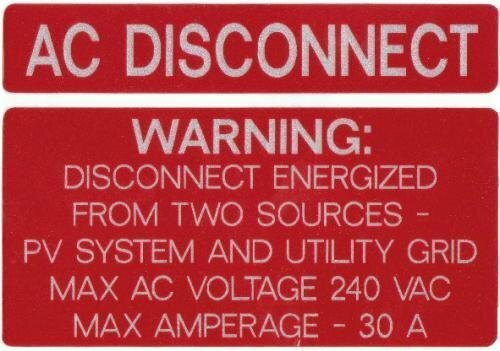 This sticker can be customized to your specific needs re: Max AC Voltage & Max Amperage. Upon checkout input values in the personalization text box.